GS Tours is a small family travel agency operating in Chania, Crete since 1990. 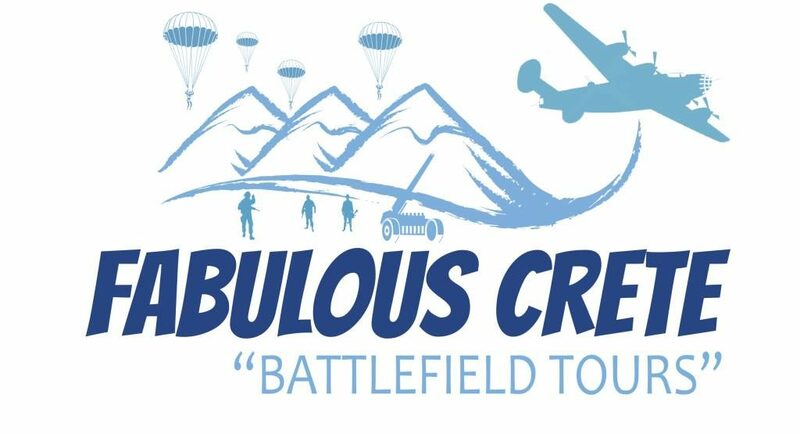 Our company is offering several services to our island’s visitors and through our project, fabulouscrete.com, a lot of alternative excursions and theme tours. On 2016, we decided to create a battlefield tour in Chania and focus on the WWII and the battle of Crete facts. Yiannis, the youngest member of our company and his team, loving the 20th century’s war history, are studying and reading about the battle of Crete for years. Running these tours for 2 years we got in touch with a lot of history lovers, descendants of the battle’s fighters and a lot of other people sharing the same passion with us. People in Crete knows and feel proud about this station of our recent history. Some of them are preserving this memory by collecting relics from the war, keeping themselves aware of old and new stories, small but important facts of this era. Cretans fought with the allied forces to defend our island and today, almost 80 years after the war, strong ties are connecting Cretans, Australians, British and New Zealanders. An old hate became a new friendship and German visitors are more than welcome today to our island. In order to keep these memories alive and honor the new and old friendships between our people, we decided to develop more this simple day tour and create a whole project about the Battle of Crete. This battle today is not so popular because of other and bigger battles of WWII in the Western and the Eastern front. But it is the largest airborne invasion in world’s history and equally important for the war’s end because of the strategic position of this island. Our aim and hope is to introduce the people the historical truth about the battle of Crete, visit together the battlefields and pay our respects to these people who gave their lives hundreds and thousands of miles away from their home. We consider this as a duty to our ancestors and we are trying to make this history more known. In this website-blog you will have the chance to read historical articles, stories and hidden treasures from the Battle of Crete and follow our tours to Crete’s war theater.